MODERN TECHNOLOGY. QUALITY CUSTOMER SERVICE. For the past 19 years ProPack Logistics Inc. has provided outstanding Third Party Logistics (3PL) from their warehouse facility in Blaine, Washington. The company’s mission is to provide world class logistics service in warehousing, fulfillment, freight forwarding and inventory management. Using CMS WorldLink ™, the flagship transportation management solution (TMS) of CMS GlobalSoft™, and DYMO Endicia Label Server™ API, the company has been able to streamline their USPS® shipping. Established in 1991, ProPack has been growing from day one. Starting out with one small building, the company now includes 3 buildings and over 50,000 square feet of space. ProPack specializes in serving logistical needs for small and medium sized businesses in Northwest Washington and Southwestern British Columbia. Its expert staff strives to maximize their clients’ ability to eliminate unnecessary steps in distribution, improve customer service and to obtain predictable response time. The company brings value to its clients by applying modern technology, logistics expertise, and quality customer service. In 2008, ProPack was using a mail module within a multi-carrier shipping solution for its USPS shipments. The company soon determined that their current solution was an aging manifest system that could be compared to a ticking time bomb. The solution was slow and cumbersome and needed to be replaced. ProPack needed a browser-based multicarrier manifest system that was SQL based, highly flexible and would integrate with its own WMS. After exploring options online, the company then purchased, integrated and went live with CMS GlobalSoft’s WorldLink and DYMO Endicia’s Label Server API. The setup and integration with the new system into their own WMS was quick, easy and required little down time. CMS WorldLink with integrated DYMO Endicia Label Server became ProPack’s sole fulfillment solution allowing them to utilize all carrier shipping services in one system. A premier partner of DYMO Endicia, CMS WorldLink is a robust and fully scalable transportation management system (TMS). Built specifically for transportation planning & execution, CMS WorldLink is the enterprise-wide, browser-based TMS best suited to optimizing supply chain event management and activity handling. DYMO Endicia’s Label Server API communicates directly with CMS WorldLink and allows ProPack to efficiently ship all its USPS domestic and international packages. Using both CMS WorldLink and DYMO Endicia Label Server has helped ProPack optimize both its time and savings by consolidating all its carrier shipping into one highly customized system to meet their specific business needs. Not only is ProPack’s new solution substantially faster than previous systems, it allows the company to gain a competitive edge. “Once fully setup with CMS WorldLink and Endicia Label Server, our shipping process became a great deal faster for domestic shipments and five times faster for international shipments. The switch has improved overall processing efficiency 300 to 500 percent,” states ProPack Director of Systems and Technology, Phil Snyder. When preparing international shipments ProPack is able to preload all item values, weights, harmonization codes and print shipping labels without delay. The old system was time consuming and would pause for 30 to 60 seconds before printing each label. Though ProPack ships using all major USPS services, its clients have especially enjoyed the savings received from the low rates of Priority Mail® and Priority Mail International® shipments as well as the low cost of Endicia Parcel Insurance™. Also beneficial to ProPack’s clients has been DYMO Endicia’s Stealth (hidden) Postage™, which helps to reduce customer inquiries concerning the shipping costs of their order. 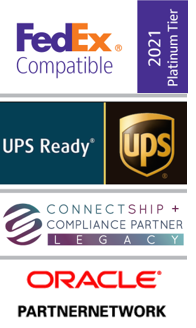 ProPack has also taken advantage of CMS WorldLink’s carrier compliance, all done on CMS’ end, and the excellent support provided by the CMS team.